It's time for Round 2 of my Battle of the Dry Shampoos! If you missed Round 1 please check it out here. In Round 1 I discuss my judging criteria and everything you need to know about this whole Battle of the Dry Shampoos process. Let's get started with Round 2's contenders! Scent: The scent of this smells like Pantene Pro-V shampoo. It's a very clean soapy scent. I really like this scent a lot. 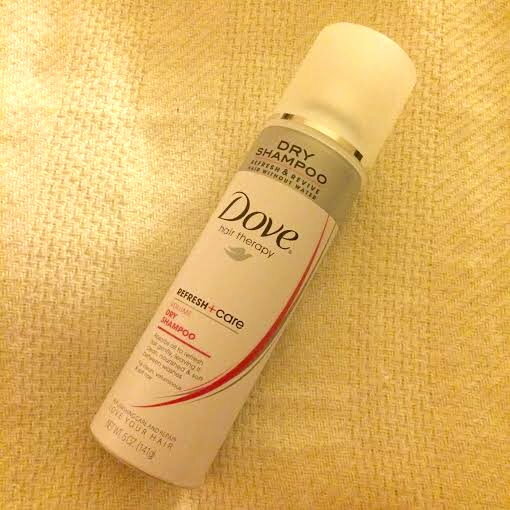 Application: This dry shampoo has ZERO white cast at all. 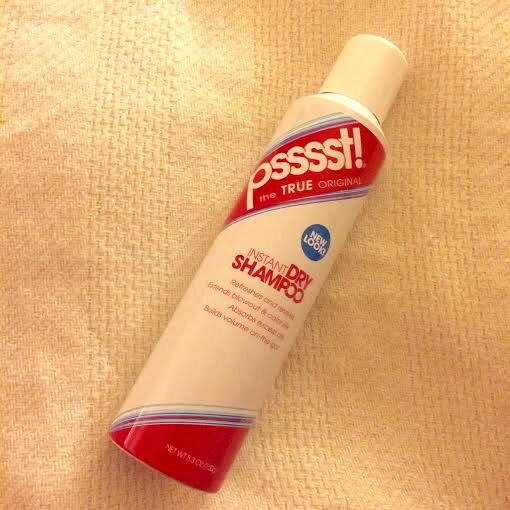 In fact, this dry shampoo is completely invisible. I had no application issues with this one. Effectiveness: This dry shampoo I found to be effective minimally. This barely absorbed any oil in my hair and my hair still looked greasy after application. 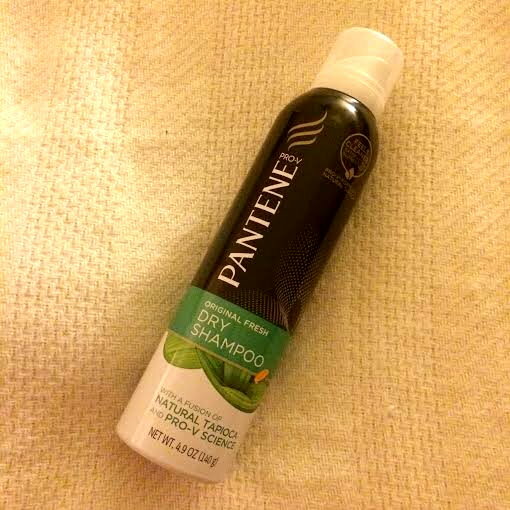 Hair Texture: This did not alter my hair texture or make it feel heavy with product. My hair was still greasy after application though. Pros: I really loved the scent of this dry shampoo. I wish more dry shampoos would go the route of smelling like shampoo rather than other scents. I also liked that it didn't have a white cast. Cons: Well, it was ineffective. It did not absorb the oil from my hair really at all. My hair still felt and looked greasy after application. Scent: This has a sweet and powdery scent. It's definitely a cleaner type scent, but I find it a bit too sweet smelling for my tastes. Application: This applied easy, but it did have a gray cast when it is first applied. I did find this brushed out easily though. I also found it was a bit heavy handed. Effectiveness: This was a bit more effective than the Pantene one, but not by much. This did absorb some oil, but not enough for my hair to not look greasy. Hair Texture: I felt this was slightly heavy on my hair. It felt like I had some type of product in my hair, but it was minimal. It was noticeably, but not anything off-putting. Pros: I liked that the gray cast it left on my hair could easily be brushed out. Cons: The scent, minimal effectiveness, and the way it left my hair feeling were definite minuses for me. Scent: This dry shampoo has a refreshing clean citrus scent. It's uplifting and not overpowering. Application: This applied easy without any noticeable trouble. This does leave a white cast on the hair, but I found it was easy to brush it out. Effectiveness: Out of all the dry shampoos I've tried so far this has been the most effective. This absorbed the oil in my hair really quickly and well. My hair looked clean and looked as close to freshly washed as possible with this dry shampoo. Hair Texture: This did not weigh heavily on my hair or alter the texture of my hair. Pros: Great scent and very effective. I like how this didn't just absorb the oil, but made my hair look really fresh and clean too. Cons: The initial white cast on application isn't ideal and maybe more troublesome for people with darker hair color. Scent: This has a very straight forward powdery scent. The scent is neutral and non-offensive. I don't dislike this scent, nor do I like it. It's fine, and would be a nice option for people who don't like scented dry shampoos. Application: This has as pretty heavy handed application, and boy did this leave a major white cast! I was able to brush it out though. Effectiveness: This is the OG of dry shampoos, and it is effective. This absorbed oil well and quickly. My hair was grease free. Hair Texture: This is where this falls short for me. When I touched my roots it felt like I dumped a whole bottle of powder on top of my head. It just has this weird powdery almost grainy feeling to my hair. You couldn't see it, but I felt it. Honestly, it felt pretty gross. Pros: This dry shampoo is effective at absorbing oil and doing it's job. It has a neutral scent that maybe preferable to some people. Cons: I couldn't stand how this made my hair feel. It felt like I had a ton of product on it. This wasn't a good batch of contenders, but there was one winner in the bunch. got2b dry shampoo really impressed me. It's not a brand I'm really familiar with unlike the others which had me worried. This one out ranked them all by a landslide though. psssst! came in second for me, and if it weren't for the way it made my hair feel I would of ranked it higher. 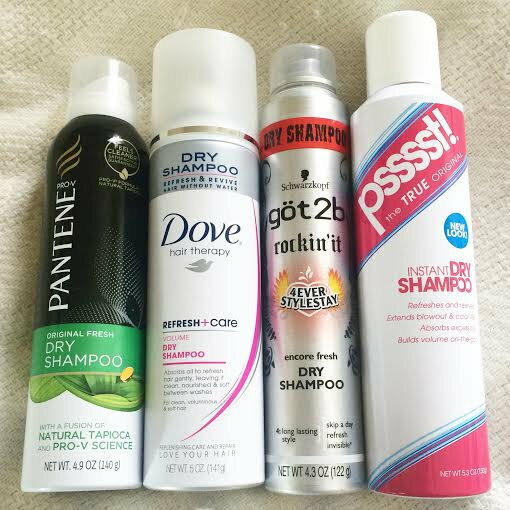 I would definitely repurchase got2b's dry shampoo though out of all of them I've tried so far. I'm still holding out hope for one that will out rank that one, so there will be more dry shampoo battles! Stay tuned next month! I had heard so many good things about the Dove so I got it too, but I much prefer the Batiste one I got first. I want to try the got2b one now! Loving this series! Nice reviews on them. I still haven't tried dried shampoo which is something I should change. Yep I love that got2b, I buy a half dozen or dozen bottles at a time from ebay...I have found (thanks to dry shampoo posts from NouveauCheap that helped point out the key ingredient) that ones with rice/sativa work best. Another good one with that ingredient is KMS HairPlay Makeover Spray. I hear Klorane is great but I've misplaced my sample size of it before I tried it out. And I have to use dry shampoo on my clean hair to get texture/volume as well as prepare for a second day. I can't use it on day 2 if I didn't use it and style on day 1, it just can't absorb all the oil. So I guess it is easier to prevent a lot of the oil to begin with. I have tried many of them myself, but I always love to read comparisons and reviews! You mentioned it in your part 1, but this weekend you inspired me to pick up the Batista dry shampoo. My CVS only carries the original color (not the brown one) but it was the only cruelty free dry shampoo I could find and I saw you recommended it too so I got it! I am happy with it so far, thanks for the reviews! I've only tried one dry shampoo that is in the spray bottle (Not Your Mother's) and I hated it, so I'm really interested in reading your reviews! I use Cake Beauty's, which is in a container like traditional powder and kinda messy, but it smells delicious, works great, and is a coppery color so it blends into my hair well! I really like how your reviews are so detailed! 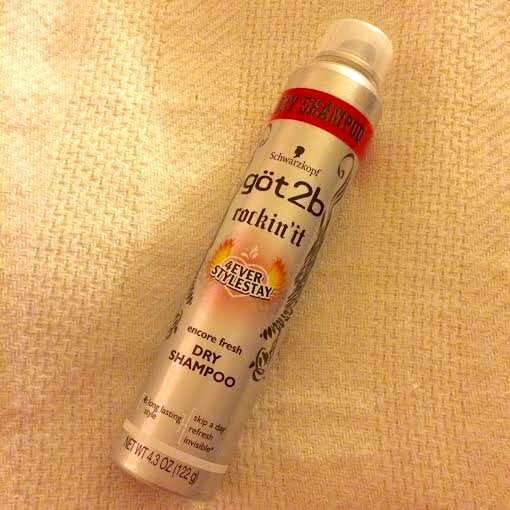 The Dove and Batiste work great for me and I'm definitely checking out the Got2b one soon! I tried the Batiste Brown one and found that it left a brown residue all over. My counter had a brown film, my scalp so when I ran my fingers through my hair my finger were brown, and (gross but still) my nose -like blow my nose and it's like I snorted the Batiste. And I wasn't have spray crazy either. I really like the Bosley one, but it is pricey (around $19) so I don't use it often. Can't wait to see more reviews!